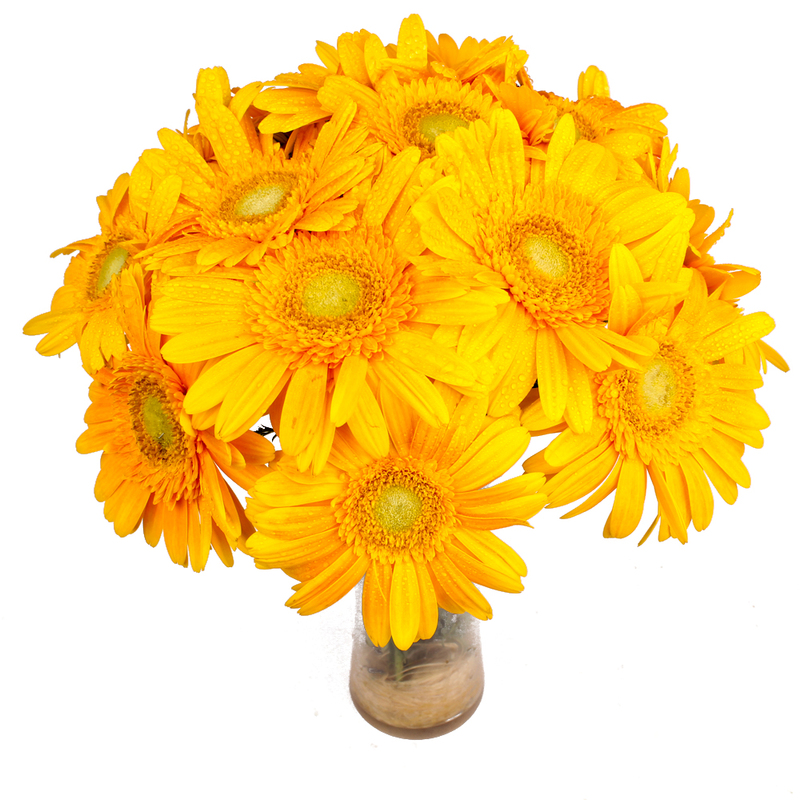 Product Consist : Twelve Yellow Gerberas with green fillers nicely arranged in a Vase. 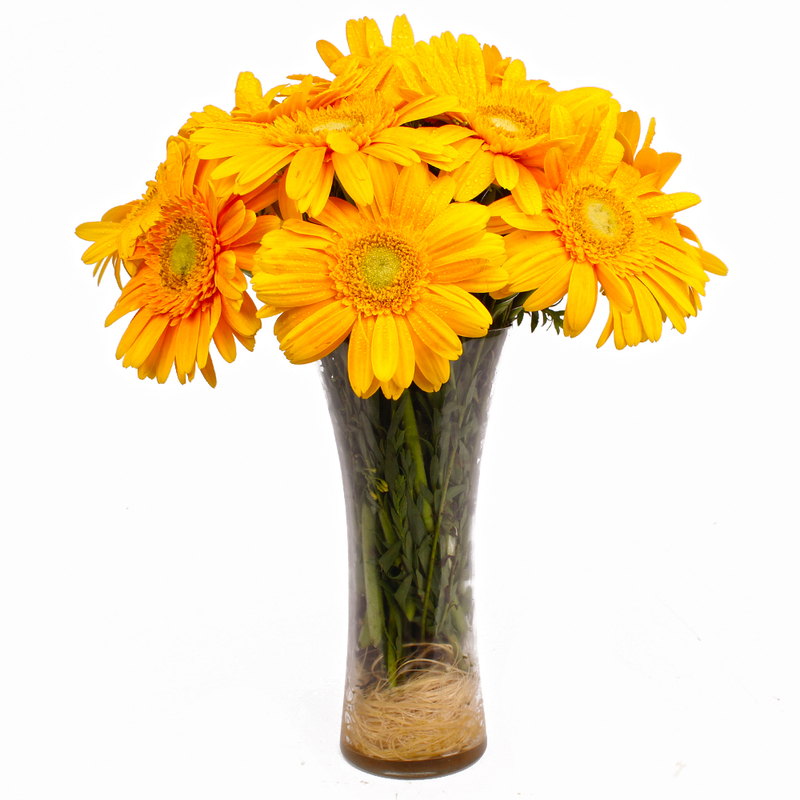 The best way to appreciate the performance of your employee will be to gift him this amazing glass vase with twelve Yellow Gerberas each bud is fresh and moist has a beautiful glare which is placed in the circular vase decorated with green color leaves. 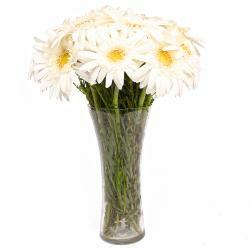 The bunch is also decorated with white color tiny flowers which have given a volume to the bouquet making it look stunning. 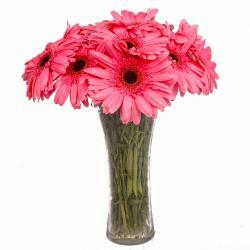 The angelic aroma of the Gerberas will spread in the environment and will keep your employees motivated. 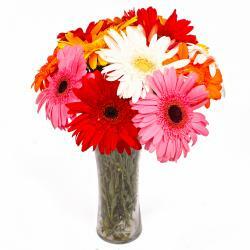 It is suitable gift for Birthday, Anniversary, Engagement, Pongal, Teachers Day, Boss Day. 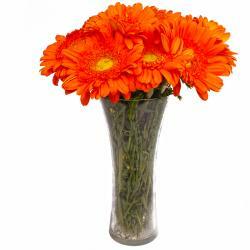 Product contains: 12 Yellow Gerberas with green fillers nicely arranged in a Vase.